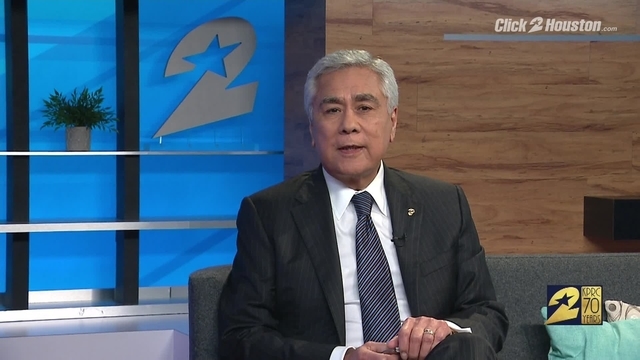 HOUSTON - The Westbury neighborhood of southwest Houston is on edge after police said a resident was connected to the investigation into the deadly shooting of a renowned Houston cardiologist. A spokesman for the Houston Police Department Wednesday morning said the investigation at a home at the intersection of Stillbrooke Drive and Doud Street was in connection with a homicide, but he would not provide any other details. Later Wednesday, Houston police revealed the listed owner of the home in the 5000 block of Stillbrooke, Joseph James Pappas II, is a suspect in the murder of Dr. Mark Hausknecht. Houston police chief Art Acevedo said a tip indicated Pappas' mother was a patient of Hausknecht's and she died during surgery more than 20 years ago. Hausknecht was shot to death on July 20 while riding his bicycle on Main Street in the Texas Medical Center. READ: Who is Joseph Pappas? Neighbors with whom KPRC2 spoke said they are on high alert. "Shocked. Completely shocked. He was just a normal neighbor," she said. "I saw him, I guess, about three days ago trimming his hedges out front." Even before law enforcement lined the street Wednesday morning to search Pappas' home, neighbors felt they might be living near the man who killed the doctor. They said Pappas looked like the images police released from surveillance cameras. “He just kind a look like that fellow on TV riding in the bicycle," neighbor Jim White said. "The general consensus of the neighbors are the guy on the bike that killed the doctor in the Med Center looks like Joe," Jeanine McMillan said. "Everybody thought that before this all came out." Neighbors said Pappas lives in the home of his parents, both of whom have passed away. The events that lead to an arrest warrant for Pappas started with someone calling police asking authorities to check on Pappas who might be suicidal. Neighbors said they heard a similar account about Pappas. "He had contacted a friend in Ohio and had left that suicide note with her via text," McMillian said. "She called the police for a wellness call, but she couldn't get a hold of him." Officers conducted a welfare check 9 p.m. Tuesday at the home and did not find him there. A KPRC2 crew at the scene Wednesday morning said police officers could be seen walking in and out of the home. Two Houston Forensic Science Center crime scene unit vehicles were also at the scene. According to neighbors, Pappas would walk the streets and ride his bike all the time. "His bike is missing and he is missing," McMillan said. It's a strange twist for the quiet neighborhood where people said everyone knew Joe. "Everybody seemed to like him around here," White said. Pappas is still on the run. Police said he's armed and dangerous.